Please note our NEW location at Powhatan Middle School, conveniently located on Old Buckingham Road in Powhatan County, just west of the Powhatan Court House area. As we have in years past, all campers must bring their own lunch and snacks, there will not be refrigeration available for food at this time. Cub Scout Day Camp is an organized five-day program for Cub Scouts and Webelos Scouts conducted by certified and trained leadership, at an approved site. What is offered is a high-quality program brought to you by many dedicated volunteers at a reasonable cost! Cub Scout Day Camps are conducted in accordance with the established standards as stated in the National Camp Accreditation Program. What is the Purpose of Day Camp? Who Attends Cub Scout Day Camp? Advancement has always been an important part of our Day Camps, however it is not the singular focus. The Day Camp programs contains a well-balanced variety of Core adventures, adventure electives. Typical stations include Archery, BBs, Sports, Crafts, Cooking, Nature, and others. More information will be emailed to your Pack's leadership. How Much Does Day Camp Cost? The Day Camp fee is $85 per scout five days of attendance. $20 for a single day of attendance if registered and paid by 5:00pm May 13th. After that time the cost will be $110.00 for five days of attendance or $25.00 per day. The Day Camp fee includes a camp t-shirt and patch as well as covering all insurance costs and program materials. Be sure to register soon! Registration ends June 1st. REGISTRATION NOTE: ALL Day Camp registrations are required to go through the unit's Pack Coordinator. NO INDIVIDUAL SCOUT/PARENT/CHAPERONE registrations are able to be accepted. Registration ends June 1st. 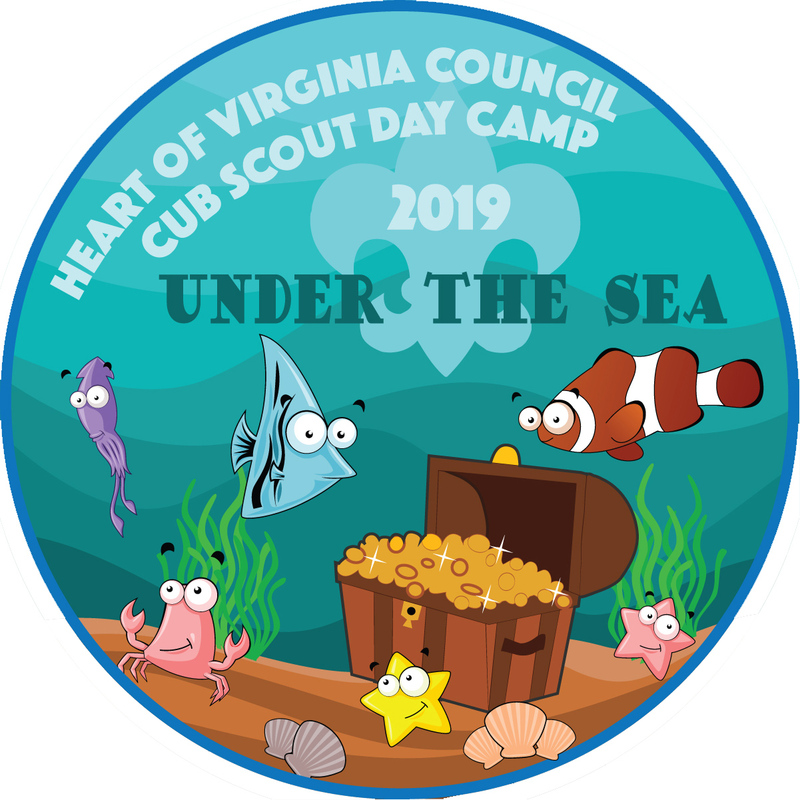 Contact Day Camp Director Jaime Quinn at jq4scouting@gmail.com or 804-687-2814 OR Program Director Eric Johnson at ewealthyjohnson@gmail.com 804-814-3175. Download the Pack Coordinator/Day Camp Guide "HERE"
After 5/13/2019 a fee of $25.00 will apply to all Tiger/Wolf/Bear Registrants. After 5/13/2019 a fee of $5.00 will apply to all Tiger/Wolf/Bear - Partial Week Registrants. After 5/13/2019 a fee of $5.00 will apply to all Webelos 1/Webelos 2 - Partial Week Registrants. After 5/13/2019 a fee of $25.00 will apply to all Webelos I/Webelos II Registrants. All fees are due with completed registration through Doubleknot or delivered to the Council office by May 13th at 5:00pm. All registrations are transferrable within your unit's Day Camp registration, but not refundable.